Friends since the fifth grade, Philip Moseley and Ronnie Evans were dreaming up their plan to be restaurateurs while most high school students were more interested in finding out the latest music video to top Total Request Live. Fast-forward a decade and that dream is now reality in the form of Blue Oak BBQ, one of Mid-City New Orleans’ trendiest eateries. Watch how Hancock Whitney helped ensure this duo's dream didn't go up in smoke. After learning the art of barbecue in Colorado, Philip and Ronnie returned home to New Orleans with one goal in mind – figure out how to take their beloved activity and turn it into a profitable business and career. “We knew the nine to five grind wasn’t for us,” says Philip. The start of their entrepreneurial endeavor began by hosting tailgate barbecues for friends and family. After positive reviews, the duo jumped at the opportunity to serve their creations as a pop-up at a local New Orleans bar, then out of the kitchen of a live music venue. While operating out of other businesses’ kitchens brought notoriety to the Blue Oak name, the pit masters wanted more. “We developed a concept for the Blue Oak BBQ restaurant and we really believed we were positioned for success,” Ronnie explains. The move to a stand-alone enterprise meant establishing a significant banking relationship. “The kind of investment we would be making in equipment, real estate, and people was significant,” Philip says. “But, we knew securing financing wouldn’t be easy as we were young entrepreneurs,” he continues. Through a number of stalled financing conversations, the pair persevered. Then, a chance interaction with a Hancock Whitney banker at a local small business seminar ignited the fire. 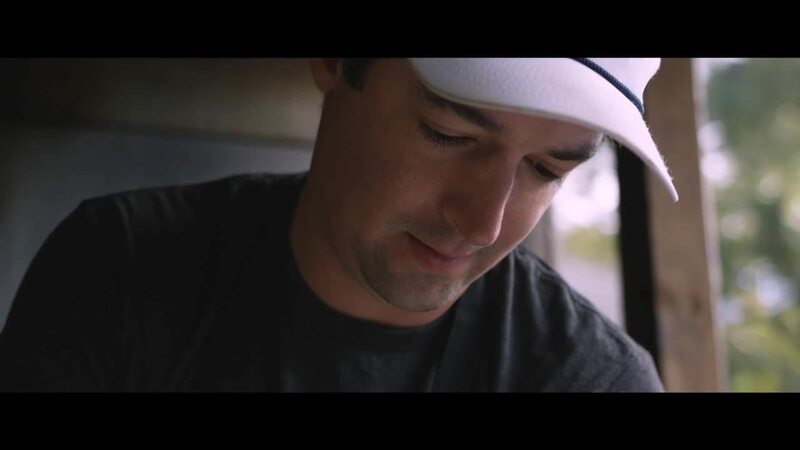 “Brittany saw something in us and believed in our product as much as we did,” describes Philip. Taking the risk to stand on their own has paid off. 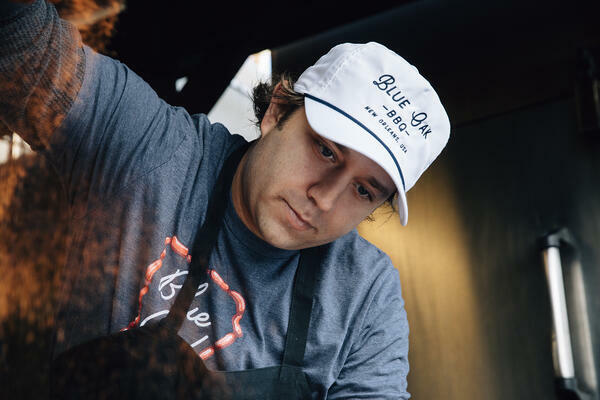 Blue Oak went from operating a 120-square-foot kitchen, serving 40 to 50 customers a night as a pop-up to serving 700 daily at their 9000-square-foot Mid City location. With growing crowds lined up for their food and the addition of more than 40 employees to the Blue Oak family, Philip and Ronnie still rely on Hancock Whitney to help solve new challenges. “Hancock Whitney is on speed dial. Anytime a new question arises, our banker is great in giving the overall perspective of how Hancock Whitney can help us grow and achieve our dreams,” says Philip. A proud supporter of Hogs for a Cause and previous grand champion, these pit bosses have no plans to slow down. “We’re always refining our menu, innovating, and enhancing the BBQ experience. It’s one of the things that makes us unique,” Ronnie explains. “We try to keep the menu fun, and take a fresh, new approach to classics,” he continues. “In addition to traditional BBQ staples, we strive to create familiar dishes with a flavorful twist." Some fan favorites include Brisket Pho Egg Rolls, Buffalo Fried Ribs and Brisket Cheesy Gordita Crunch. The pair, who have their hands full with the current operation but are always on the lookout for the next opportunity, attribute part of their success to Hancock Whitney. “Without Hancock Whitney, their support and the loans they were able to provide, I don’t think we would be here cooking food, making customers happy, and doing what we love,” says Ronnie. Investors were hit by a perfect storm of geopolitical issues and policy decisions during the final quarter of 2018, and it led to an exceedingly gloomy end to the year. But what a difference a quarter can make. As we shifted into the first quarter of 2019, instability began to dissipate and calmer conditions ushered in a shift in sentiment, as well as a calmer environment in the market. Before opening her floral shop, Roxy’s Garden, Kari Oaks spent years as a stay-at-home mom. As much as she enjoyed the involvement in her children’s lives—PTA volunteer, activity chauffeur, and proud cheerleader—she had a desire to do something for herself, to have something that was truly her own. When it came time to pursue a long-held dream, she turned to Hancock Whitney.